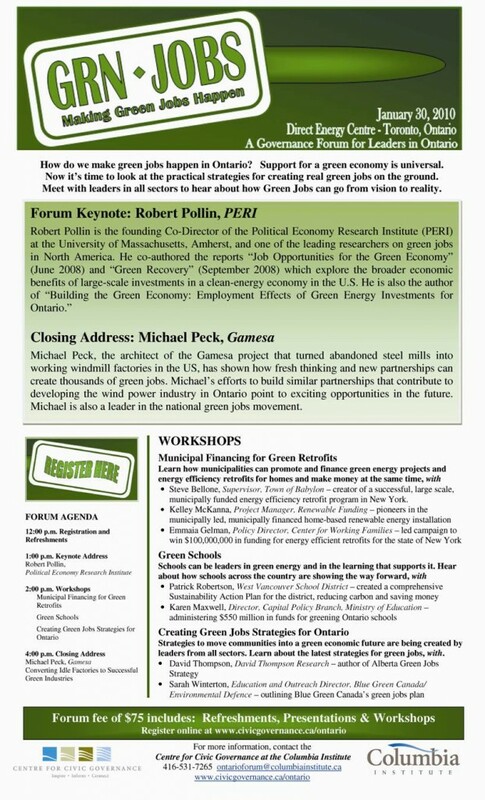 How do we make green jobs happen in Ontario? Support for a green economy is universal. Now it’s time to look at the practical strategies for creating real green jobs on the ground.